← The Original Mac ‘n’ Cheese. A Roman Classic. Cacio e Pepe. This entry was posted in Vegetables, Vegetarian, What I Love to Cook and tagged 5-2 Diet, Cauliflower, Dairy Free, Fast Diet, Gluten free, Leek, Made From Scratch, Mash. Bookmark the permalink. 8 Responses to Eat, Fast and Live Longer. A 5-2 Fast Idea Under 200 Calories. 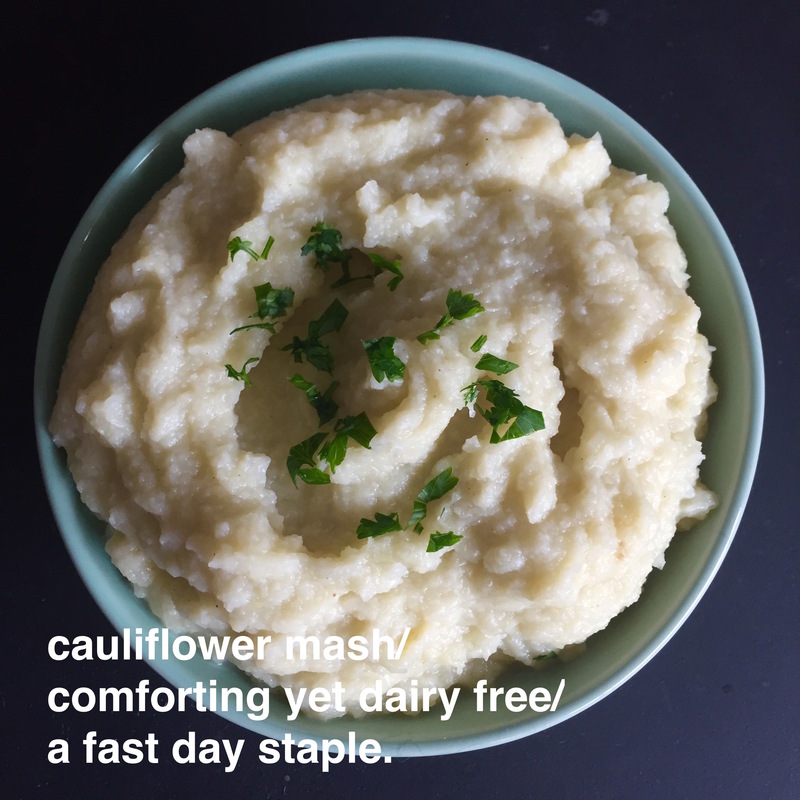 Creamy Dairy Free Cauliflower and Leek Mash. This looks wonderful. I have only recently discovered I love cauliflower. Thanks for sharing! In that case you might have to try cauliflower “rice” and “couscous” too. I love how cauli produces a lighter version of mash. I often make this when I’m not fasting and can’t be bothered peeling potatoes. It’s a gorgeous substitute for traditional mash. Just wondering if you can freeze the cauliflower mash? Just wondering if this mash can be frozen?